It’s the hottest event to take place in the middle of winter. Join us February 23 for Brite Winter, the outdoor festival that celebrates music, art, and the wonderful unpredictability of Cleveland’s weather. The band Smallpools will be headlining, and they’ll be joined by acts from many genres that will take to Brite Winter’s several stages. There will also be heated tents to showcase the talents of local artists. And for s’mores enthusiasts, the venue is dotted with bonfire pits, so you can warm up and chow down. • Ride the Waterfront Line to the Settlers Landing Station from 3 p.m. – 7 p.m.
• Ride the Red Line to the West 25th Street Station from 3 p.m. – midnight. Either way, Brite Winter will provide a free shuttle from these stations to take you to the festival site. Fare passes can be easily purchased through RTA CLE, our mobile ticketing app. Consider this the selection that will soon lead to another. We are pleased to announce we’ll be working with Krauthamer and Associates, Inc. in our nationwide search for a new general manager. Krauthamer and Associates is a distinguished executive search firm based in Bethesda, Maryland. They’re very experienced in the public transit sector, recently helping fill top positions in organizations such as the American Public Transportation Association, the Metropolitan Atlanta Transit Authority, and the Washington Metropolitan Area Transit Authority. We know their expertise will be invaluable as we move forward, and we’re pleased to have them on board. 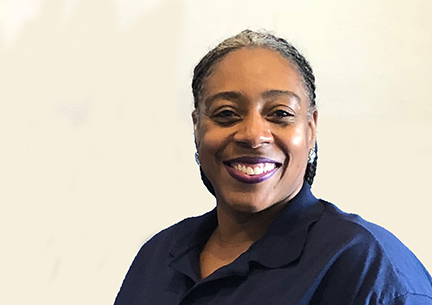 Whether as an operator, dispatcher, or member of the district council, Kimyasa Smith has taken advantage of every opportunity offered to her in her five and a half years at the Hayden District. She works hard, but still manages to infuse her delightful personality into every task. She joined the RTA family after recognizing that it could provide a career that allows for both growth and longevity. Kimyasa plans to be here for the long-haul, and we couldn’t be happier. That’s because she’s one of the most personable, relatable, and lovable people you could meet. She often handles special assignments throughout the city, such as Wade Oval Wednesday, school events, and parades. Kimyasa is often requested for these special events due to her personality and positive outlook. Her laughter is contagious, and she is always willing to go the extra mile for customer service. For example, this past summer, she was part of an outreach team that attended Hawken School for an event when she led students in a sing-along of “Wheels on the Bus.” The video was a hit on social media, thanks to Kimyasa’s infectious joy. Outside her job, she’s a mother and a grandmother who enjoys traveling with her family. She is also an active member of her church. Kimyasa’s advice to her RTA teammates is: “Hang in there, and don’t give up. It can get stressful at times, but it’s worth it. Enjoy the customers, and always be open to learning.” Look for Kimyasa at special events this year, and make sure to stop and say hello! February is peak winter weather, which makes it the perfect time to tackle the Northeast Ohio Loves Transit Challenge. This month-long promotion gives you the chance to win great prizes—simply for riding public transit. First, create an account. Then, throughout February, log your transit trips (maximum of two per day). You can even check the online leaderboard for up-to-the-minute standings. And in addition to the grand prizes awarded to the most faithful riders, there will also be weekly drawings. So get rewarded for getting out of your car, and go RTA! Be sure to see the crowd-pleasing exhibit “Georgia O’Keeffe: Living Modern,” hosted by the Cleveland Museum of Art, before it closes on March 3. According to the museum, the show will highlight “the fascinating connections between the paintings, personal style, and public persona of one of America’s most iconic artists.” Tickets are $15 for adults, $13 for seniors and college students, $7 for children 6-17 and member guests, and free for members and children 5 and under. They can be reserved through CMA’s website, by calling 216-421-7350, or visiting the museum’s ticket center. Steer clear of roundabouts by outsourcing the job to a seasoned RTA operator. Take the Red Line to the Little Italy-University Circle Station, or ride the HealthLine to the Museum Stop. On February 27, we will be hosting our Service Quarterly Planning Open House at the RTA Main Office (1240 West 6th Street). There will be two sessions held: one at 12:00 p.m., and the other at 5:30 p.m.
We will be discussing the Service Redesign Study, timelines for the Pillar Study Projects, and some very minor service changes that are planned for March. We welcome all feedback, and we hope to see you there! RTA is now implementing two-factor authentication to purchase all mobile tickets (e-tickets) on the RTA CLE app. Your credit card information was securely stored when you registered in the program, and now we ask customers to enter their billing ZIP code to complete each transaction. This will provide an extra layer of security for your account, especially in the event your credit card or phone is lost or stolen. We’re very excited to announce Greater Cleveland RTA has been awarded a $1,643,098.96 Diesel Emission Reduction Grant. Our project ranked #1 in funding for 67% of the cost to replace five model year 2003 diesel powered transit buses with five new CNG powered transit buses. We’re proud of every RTA employee who had a hand in this and look forward to transporting customers in the new vehicles. This Presidents’ Day (February 18), you can count on RTA to run regular weekday service. However, keep in mind the Main Office Building and Tower City Customer Service Center will be closed. The Telephone Information Center will be staffed from 8:00 a.m. until 4:30 p.m. Automated trip planning is available 24/7. Enjoy the long weekend!